According to our recent report, the total number of registered voters has risen by 2,302 to 3,227,819. While the state’s major political parties experienced a decrease, the number of voters not affiliated with any party, commonly known as independent voters, increased from 1,075,334 to 1,085,237. Of the state’s 3.2 million voters, 1,139,154 are Republicans (-2,546) and 972,626 are Democrats (-6,545). Libertarians make up less than one percent of the state’s total registration with 25,281, while 5,241 voters are currently registered as members of the Green Party. Additionally, the Americans Elect Party has enrolled 280 voters since joining the state’s other recognized political parties in 2011. I was glad to see that statewide enrollment increased slightly. With important municipal elections like the city council races in Phoenix, it’s important that people participate. The individuals we elect to represent us make the decisions that effect the lives of our family, friends and neighbors. Your vote is your voice. Make it heard! The latest voter registration figures compiled by county, congressional district and legislative district are available on our website, http://www.azsos.gov/VoterRegCount. It’s difficult to fully absorb the tragic and incomprehensible events in Yarnell, Arizona. As a life-long Arizonan, I struggle to recall an event in our state’s history where we’ve experienced such a staggering loss of life and property. Although wildfires in Arizona are as predictable as sunshine in the desert, no one could have anticipated the cruel ferocity of last weekend’s Yarnell Hill Fire that tragically took the lives of 19 Granite Mountain Hotshot crew members. The community of Yarnell has been devastated by the fire and the people of greater Prescott and Peeples Valley continue to struggle with intense feelings of grief and soul-crushing loss. Living for most of my life in Prescott, and my children going to school with some of the members of the hotshots, our family is no exception. When the last ember of the Yarnell Hill Fire is finally stamped out, it’s not hard not to imagine that nearly every area resident will have a connection to the tragedy. However that interconnectedness is also essential for a region reeling from a damaged spirit and marred landscape. It may seem obvious, but life within Arizona’s rural communities is markedly different than the state’s metropolitan areas. The connection to the community is palpable. Family roots often run deep. There is an unmistakable sense of pride in the community, and commitment to one another that seems uncommon in larger cities. During times of crisis, these connections take on a vital role in restoring the hearts and minds of those suffering with such tremendous loss. Now, more than ever our community must unite in the face of staggering sorrow, lift up the families who lost loved ones, and extend a helping hand to those who lost irreplaceable family treasures and a place to call home. I’m proud to say this unique phenomenon has already begun. In the days following the tragedy, We’ve seen families, friends and neighbors rally behind the grief-stricken and support the lone survivor in their time of need. With the larger Arizona, U.S. and even world family joining the effort with financial assistance and emotional encouragement, the Yarnell and Prescott area communities will emerge from this catastrophe with renewed hope, strengthened by the courage and heroic acts of 19 Hotshots who gave their lives to protect ours. In 2004, Arizona voters enacted Proposition 200, a ballot measure that required voters to show ID at the polls and proof of citizenship when they register to vote. After nearly 10 years of legal proceedings, we were disappointed to learn that the U.S. Supreme Court ruled against the state’s ability to require additional documentation of citizenship from a voter who doesn’t provide it on the federal voter registration form. While disheartened with the court’s decision, we were encouraged by its recognition that Arizona is not prohibited from denying registration based on information in the state’s possession which indicates the applicant is not eligible — precisely the procedure currently employed by the state’s county recorders. In addition, we plan to renew our request of the Election Assistance Commission to include information necessary to determine eligibility on the federal form as suggested by Justice Scalia. If the Commission once again refuses, we plan to pursue further litigation under the Administrative Procedure Act to include this information to determine eligibility. Election integrity starts with voter registration. We strongly believe citizenship is the foundation from which eligibility is derived and we will continue to look for ways to ensure only eligible citizens are casting ballots in our elections. Yesterday I had the opportunity to visit the Prescott Public Library to celebrate the “The Rock Garden,” an early literacy play space that opened last November. Designed for children from birth to five years, the play space offers an environment that encourages early childhood literacy with books, toys, a puppet stage and comfy furniture. The area also hosts a collection of parenting materials and examples of literacy activities that can easily be replicated at home. 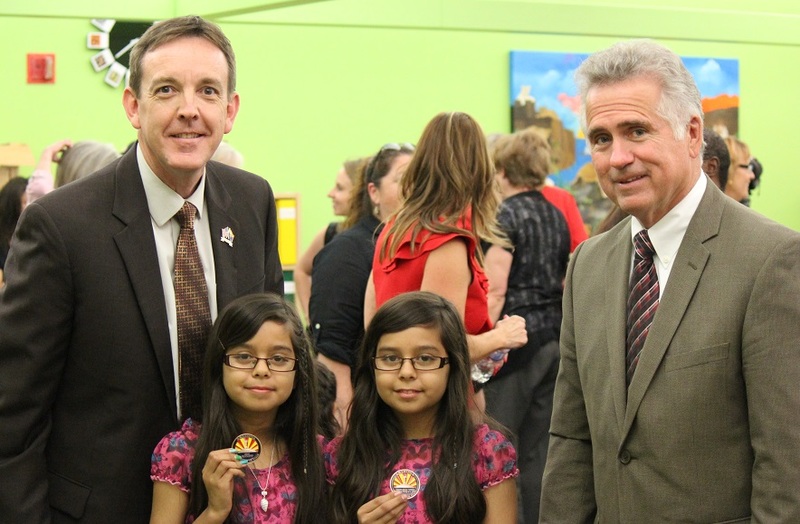 The Arizona State Library, a division of the Secretary of State, with the help of government and private partnerships has expanded its annual summer reading program offered by libraries across the state. The Arizona State Library has joined in partnership with the Arizona Department of Education, First Things First, the Governor’s Office of Education Innovation and Read On Arizona in a first-ever statewide collaboration of services and resources focused on childhood literacy; reaching families and children of all ages to engage them in summer reading. This program is designed to get children to realize the rewards of reading by encouraging them to exercise their imaginations and make reading a daily event this summer. Evidence shows that children who stop reading over summer vacation often fall behind when they return to school in August. I encourage all school children to take part in this program whether they want to learn about sports stars, or stars in outer space. Be it poolside, camping or on the beach, bring a book with you and read! The Arizona Reading Program has three different levels: adults, teens and preschoolers/elementary school. The theme for this year’s program is “underground.” The goal is to have 100,000 readers participate in the summer reading program. To participate, sign up at your local library. To find a library near you, visit the Arizona State Library’s website at: www.azlibrary.gov/libdir. The Libertarian Party has officially notified our office that they wish to open their 2014 Primary Election (see letter, attached). As you all know, this means that any voter who is not registered with a recognized party will be able to select a Libertarian ballot in the primary, requiring, among other changes, that you include a Libertarian sample ballot in your mailing to those PND voters. A permanent sales tax increase is a permanent sales tax increase. According to the Arizona Supreme Court, describing a permanent sales tax increase as a permanent sales tax increase is appropriate. Arizona’s Supreme Court has confirmed the Secretary of State’s office correctly summarized Proposition 204, a 2012 ballot measure which would have permanently increased state sales taxes to fund education and infrastructure projects. The initiative was defeated by voters last fall 64% to 36%. The most recent ruling comes on the heels of a decision issued by the Court last month which also affirmed Secretary Bennett acted properly when the office initially rejected the measure because the petitions signed by voters did not match the official language filed in the office. As I’ve said before, we follow the laws, policies and procedures which guide the ballot measure process from beginning to end. Our office is required to provide the public an accurate description of what ballot initiatives actually do. Unfortunately the Committee disagreed with our characterization of the initiative which said ‘a yes vote shall have the effect of permanently increasing the state sales tax by one cent per dollar.’ Simply arguing we inaccurately described the initiative as a permanent tax increase doesn’t make it so, and we are pleased that the Court was not persuaded otherwise.